Today is National Hand Shake Day! Today is National Hand Shake Day. 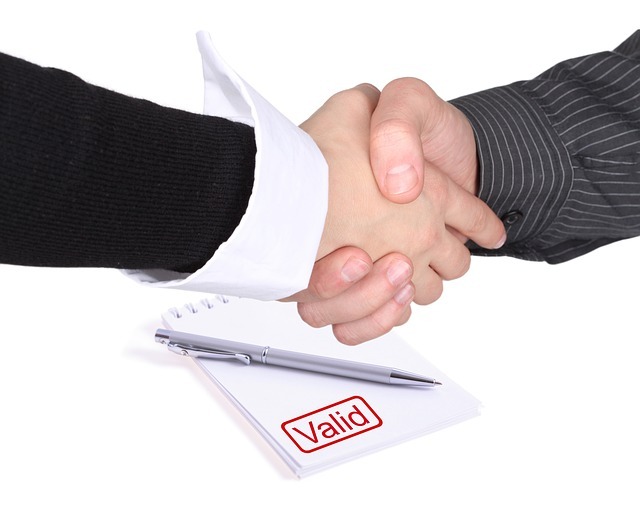 All salespeople are familiar with hand shakes. In fact, it’s safe to say that you probably couldn’t do your job well or even get a sales job unless you know how to properly shake hands. I couldn’t find the origins of National Hand Shake Day. However, it’s always celebrated the last Thursday of June. As we all know, shaking hands is a sign of respect when greeting someone. Outside sales reps shake hands daily; inside sales people not so much unless they are attending a trade show or meeting a large client outside their office. The Oatmeal.com website lists 9 types of crappy handshakes. They include the “bone crusher”, the “misfire”, the “limp, dead fish”, and the “never-let-go” handshakes. If you feel you are guilty of one of those handshakes, have no fear. Debby Mayne, Etiquette Expert, outlines “7 Tips on Proper Handshake Etiquette” in her column in About.com. Her advice includes shaking hands firmly but not crushingly, shaking hands for about two to five seconds in duration, and offering a greeting before and during the handshake. This entry was posted in Special Days and tagged Australian Government Business Agency, Debby Mayne, National Hand Shake Day, Oatmeal.com by DononSelling. Bookmark the permalink.